Weekend fun isn’t just for humans. Dogs love to get out and enjoy some time away from the day-to-day grind. But where can you take your dogs on weekends? #3: Farmers Markets – Orlando boasts many dog friendly farmers markets every weekend. 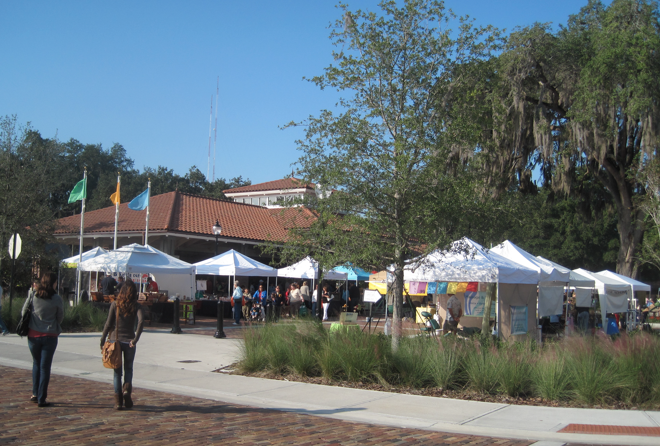 From Windermere’s Friday Farmers Market to the big Saturday markets in Winter Garden and Winter Park – you are hard pressed to find a locale without a marketplace of fresh produce. Dogs at these events have become so prominent that many vendors now cater exclusively to dogs selling homemade biscuits and treats just for your pooch. #2: The beach – Contrary to popular belief there ARE several dog friendly beaches within a short drive of Orlando. The closest is the Smyrna Dunes Park. Dogs can romp and play in the sun alongside your family. Be sure to take poop bags and keep the beach as nice as you found it! #1: The dog park – What better place to spend some time outdoors and close to home than in the dog park. 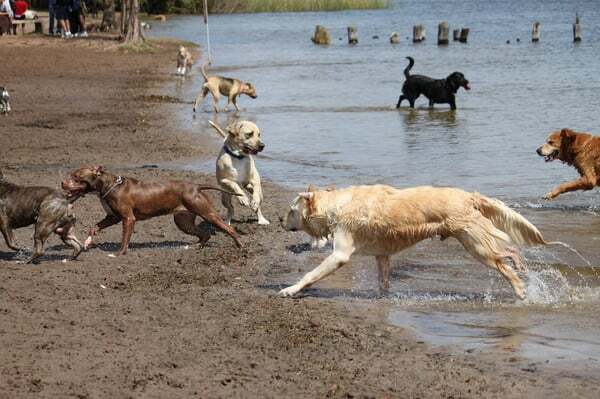 Central Florida can boast one of the nations best dog friendly parks in Winter Park. Fleet Peeples Park alongside the shores of Lake Baldwin has to be the nicest, most popular and respected dog parks around. It’s huge trees supply lots of shade and dogs love to run in the surf of the lakes sandy shores. There’s even a bathing area for our dog once they’ve had enough fun in the sun. Well, there you have it. The things pet sitters in Orlando like to do with their dogs. Did we miss any? Tell us in the comments.